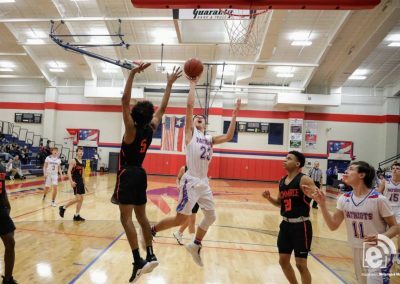 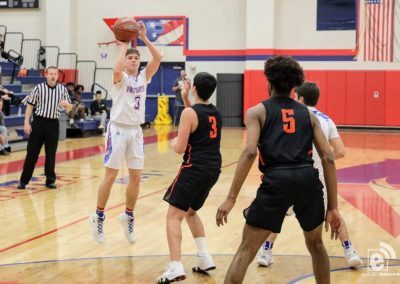 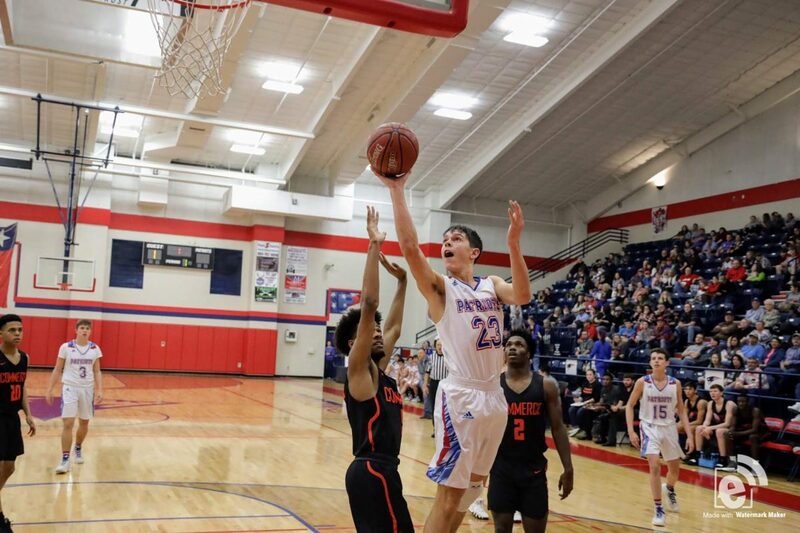 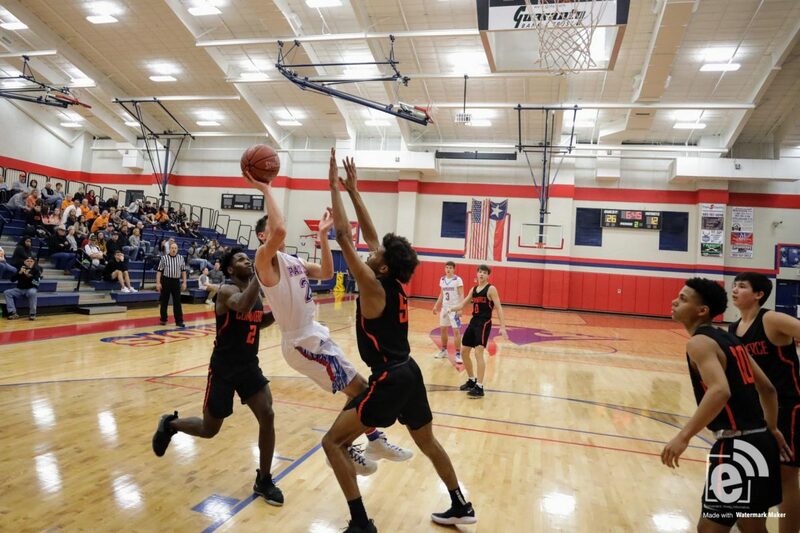 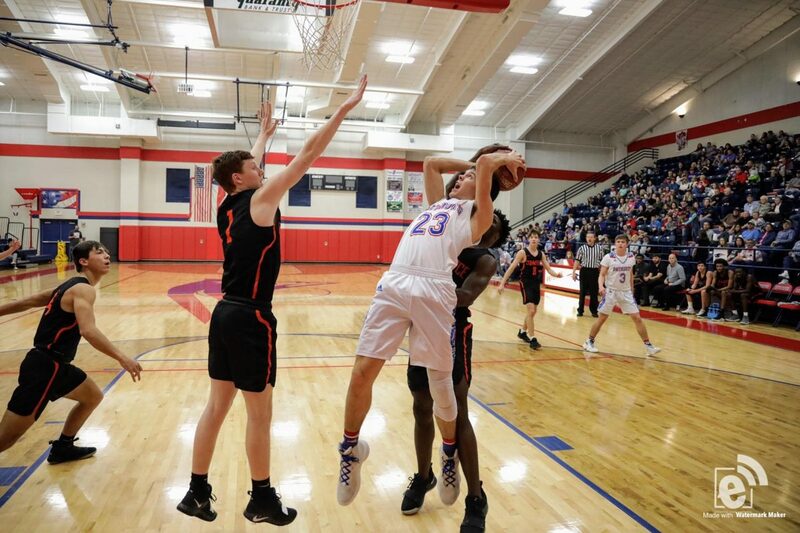 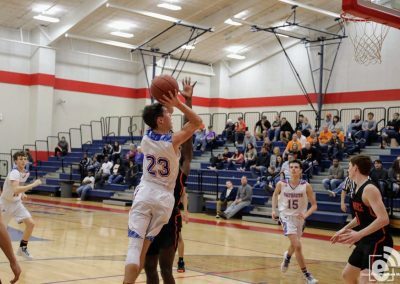 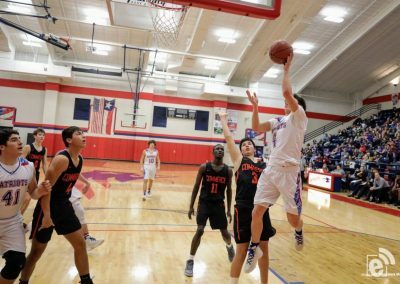 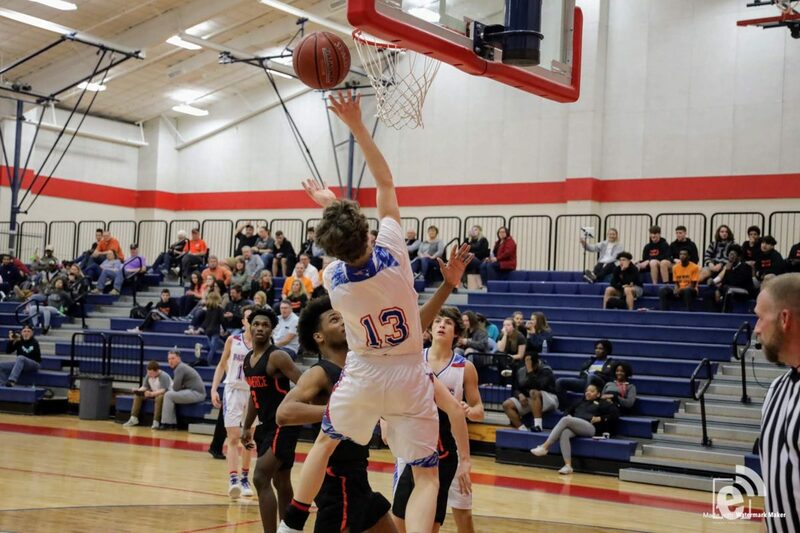 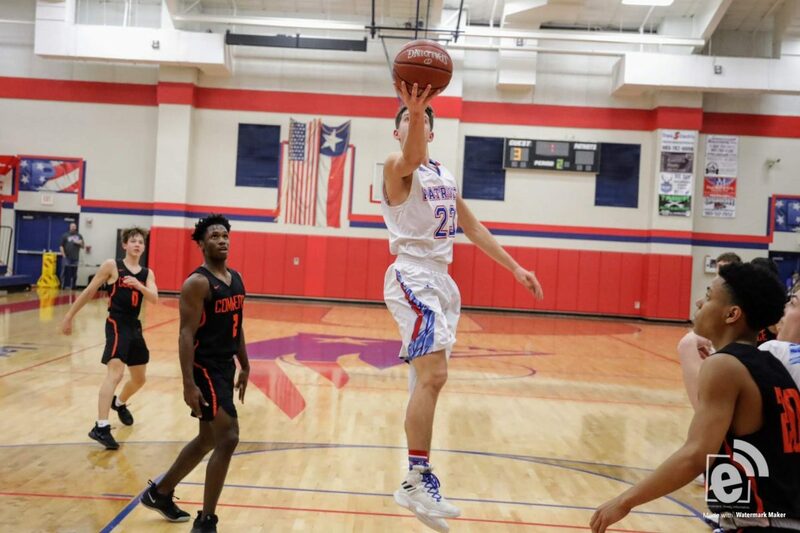 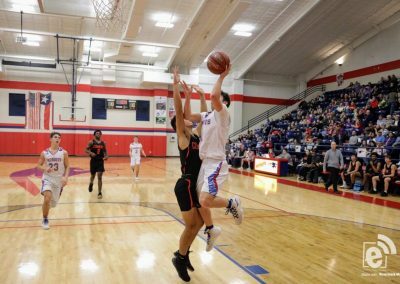 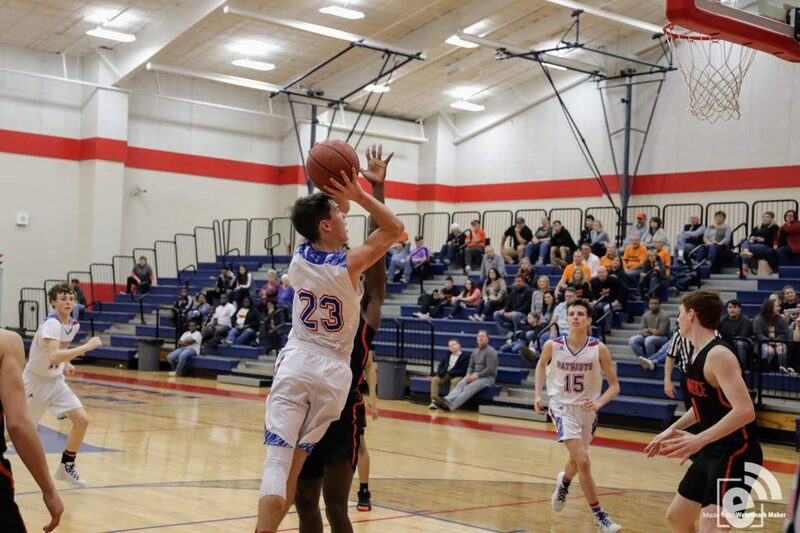 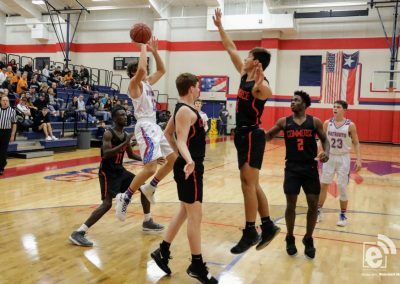 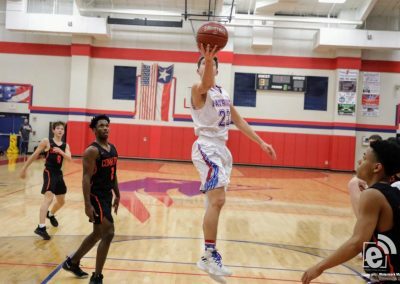 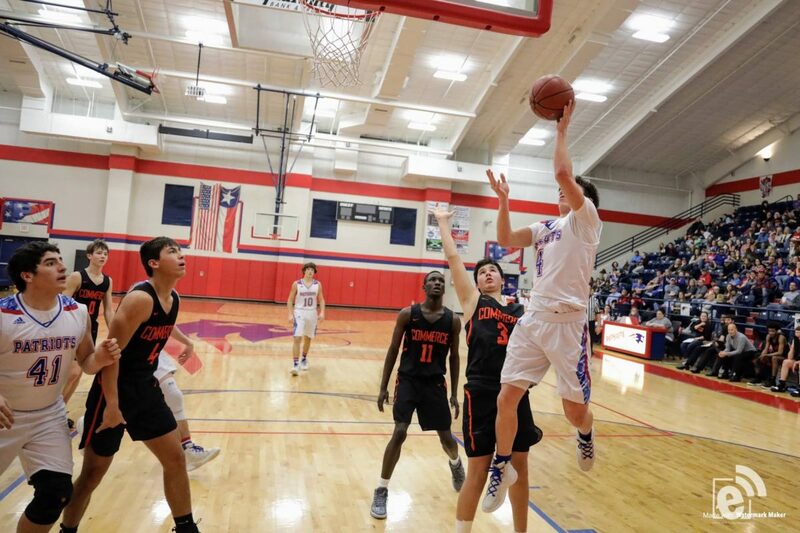 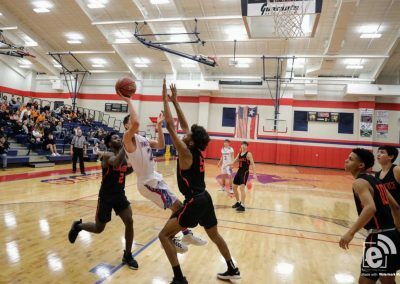 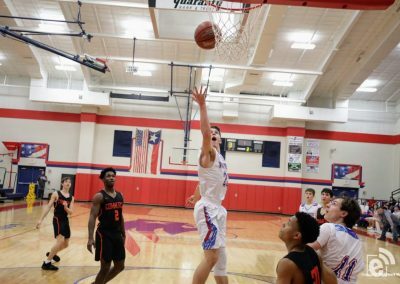 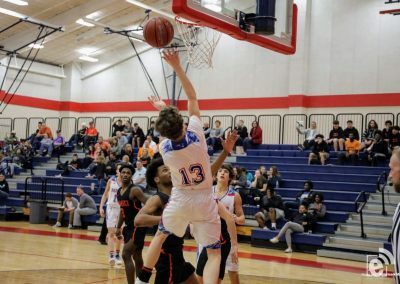 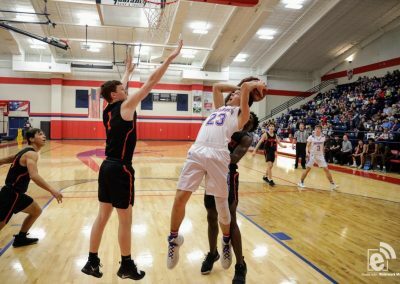 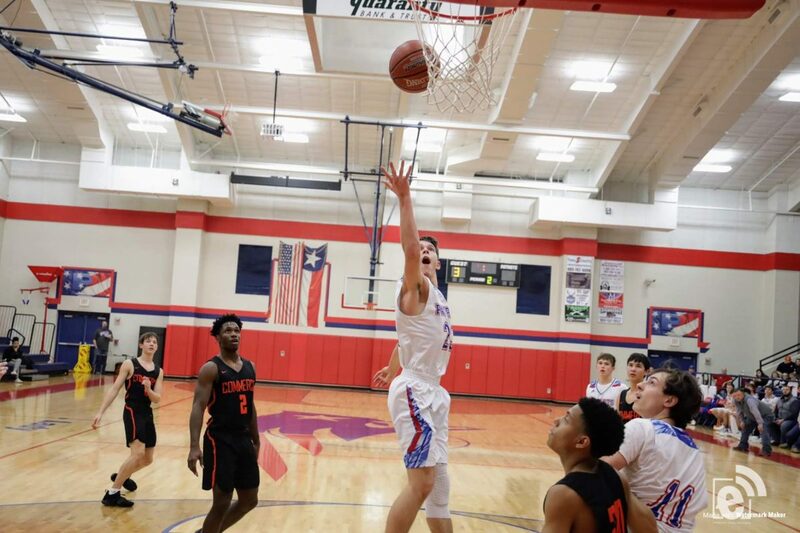 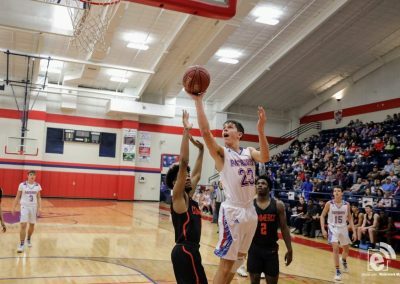 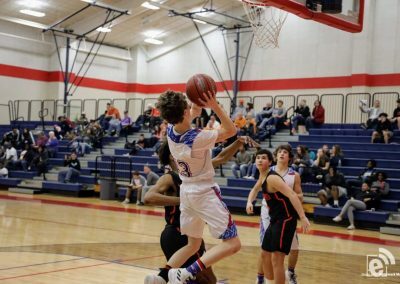 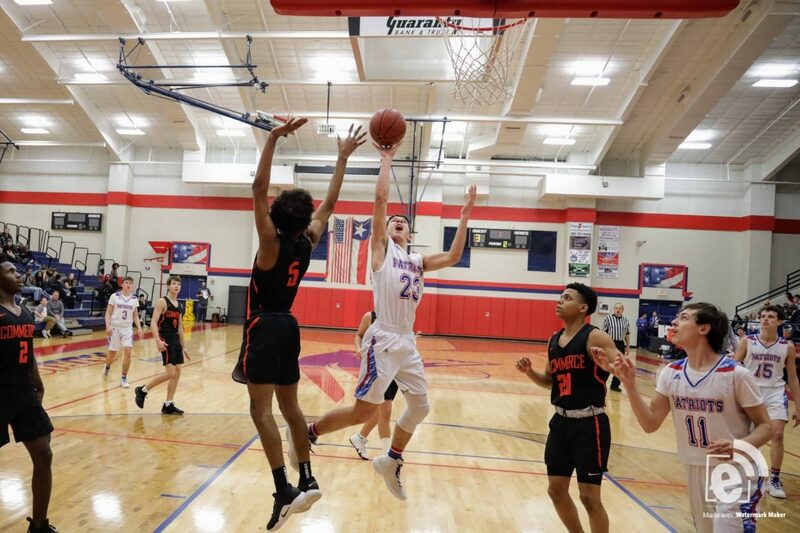 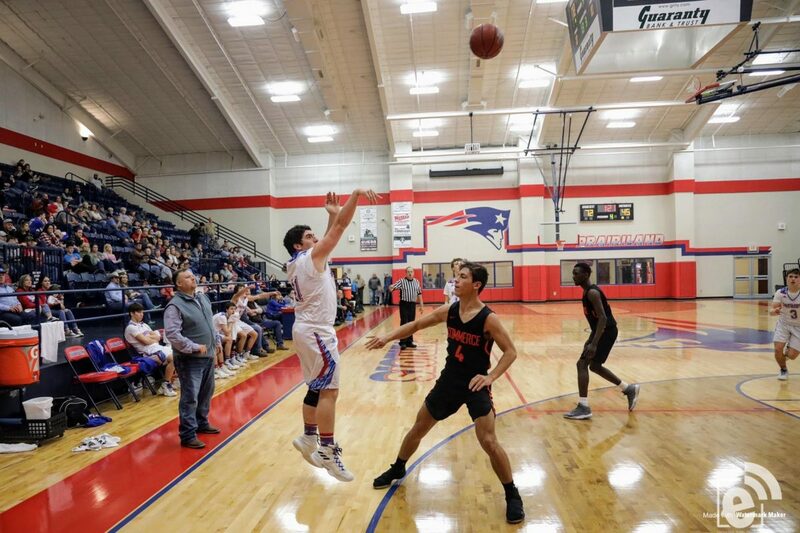 The Prairiland Patriots hosted the Commerce Tigers, who currently have a 9 – 0 district record and sit at first place, on Friday, February 1. 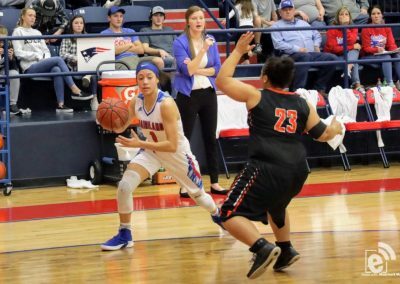 It was a special night for all of Prairiland’s seniors as both the Lady Patriots and Patriots senior class played their last home game of the season. 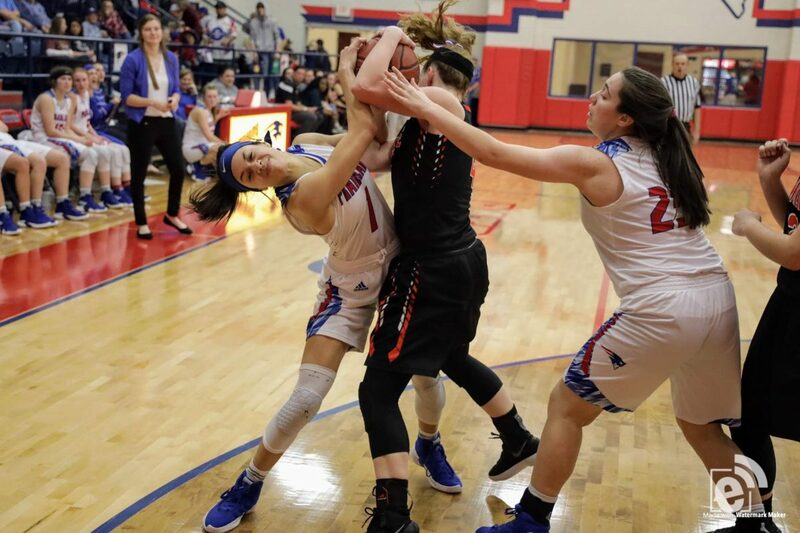 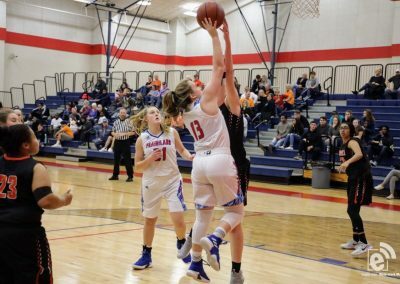 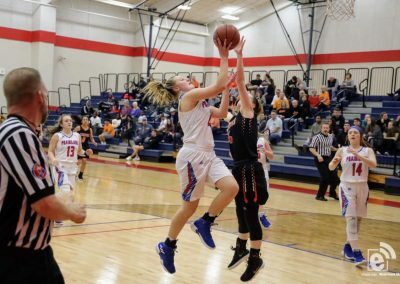 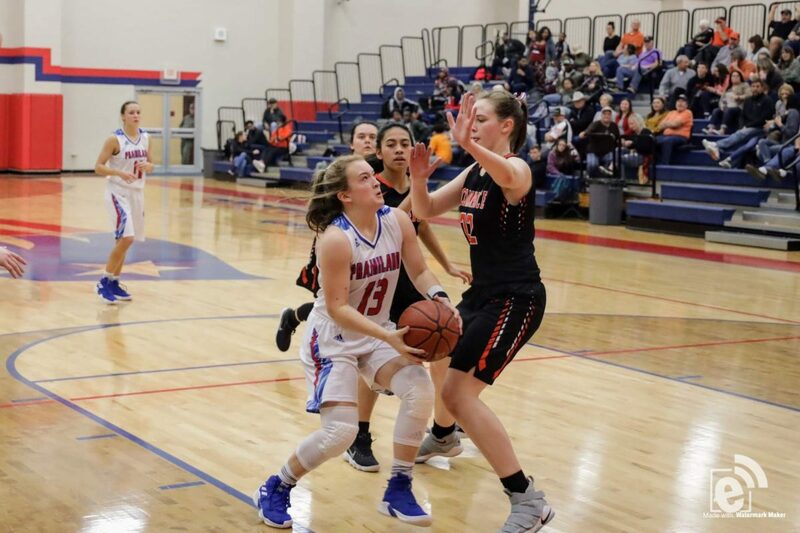 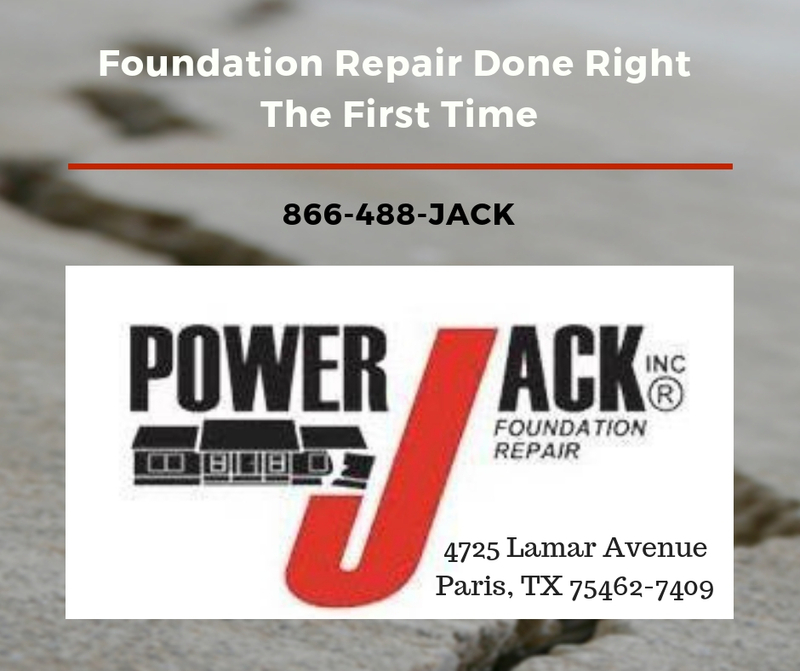 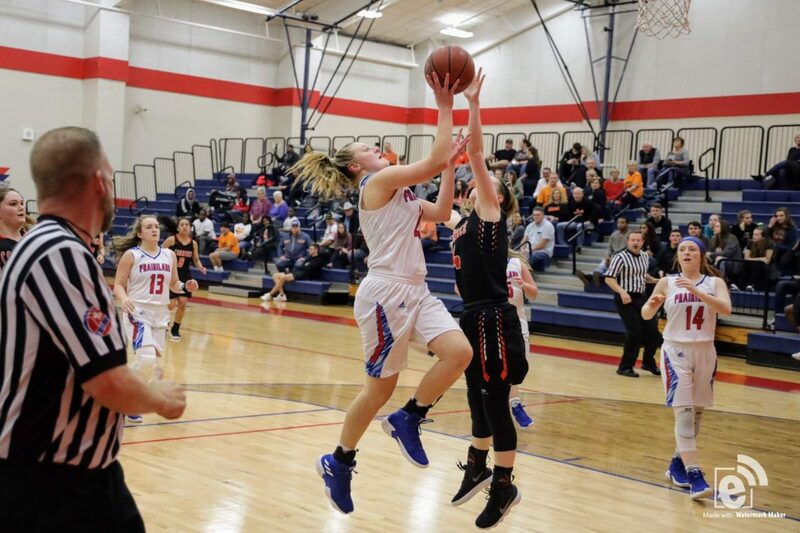 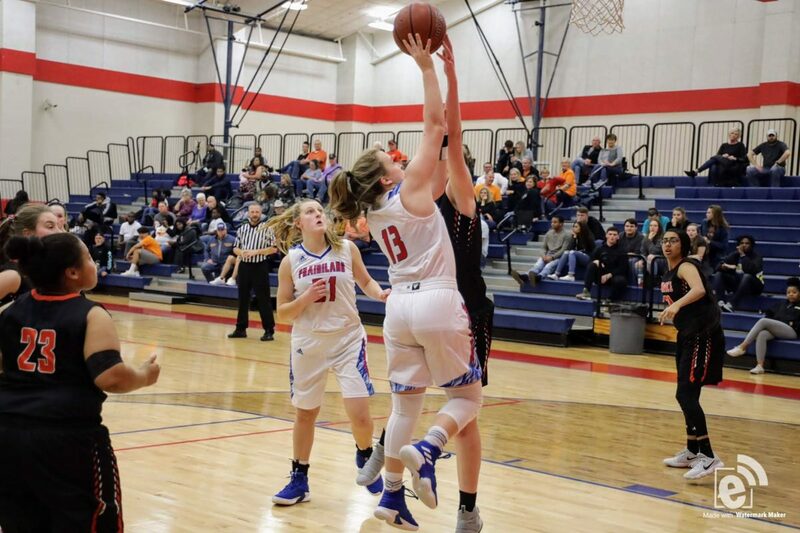 The Lady Patriots started off the game strong and were able to breeze past the Lady Tigers with ease giving them the win 53 – 29 and also improving their district record to 5 – 7 with an overall record of 11 – 11. 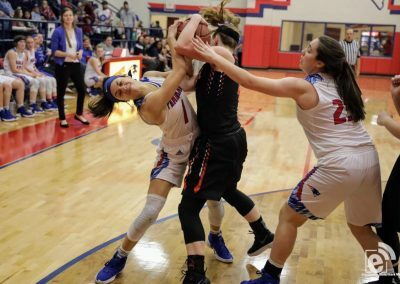 Thanks for another great season Lady Patriots, and good luck to all the Lady Patriot seniors! 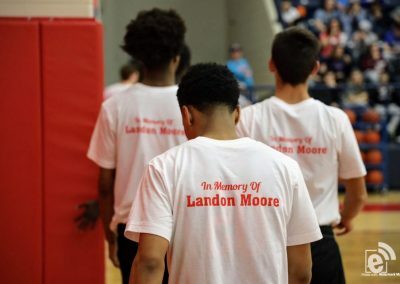 The varsity boys then faced arguably their toughest opponent yet. 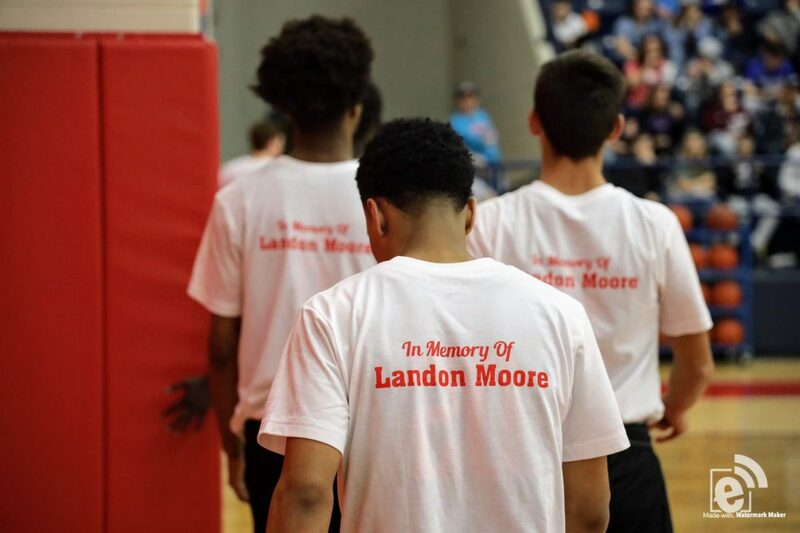 However, right before tip-off, the Tigers presented the Patriots with warmup shirts in memory of Landon Moore, a student who tragically passed away this week from Prairiland. 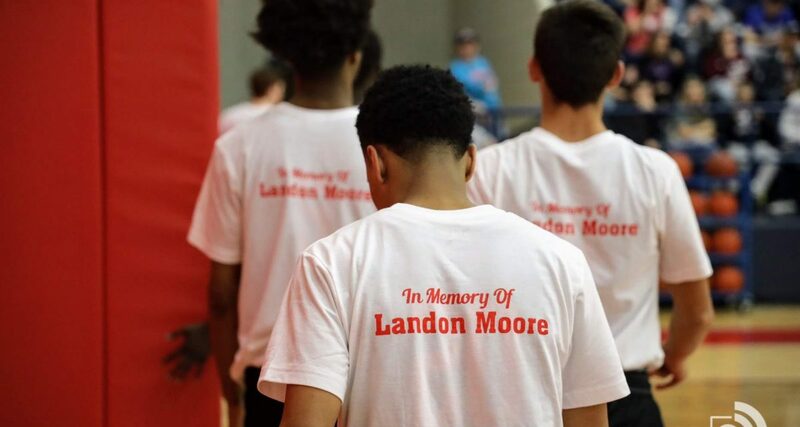 This showed regardless of the game, it is more than just basketball. The Tigers started off strong and with quick passing and very accurate shooting was able to control the court. 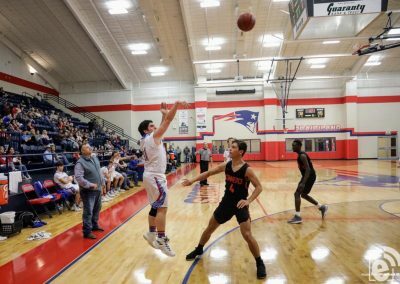 Leaving the Patriots behind but eager to come back, both teams headed to the locker room at half-time with a score of 41 – 20. 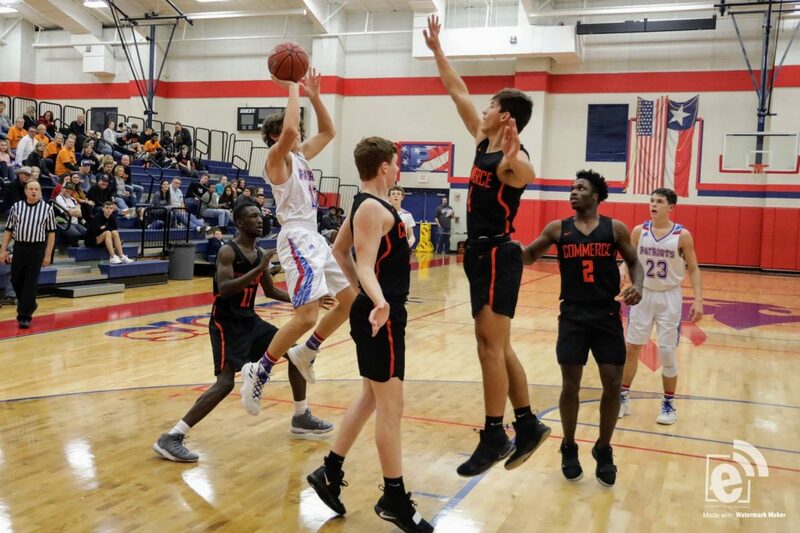 Starting the second half with great effort and determination, the Patriots were able to fight their way back and close the deficit late in the third quarter. 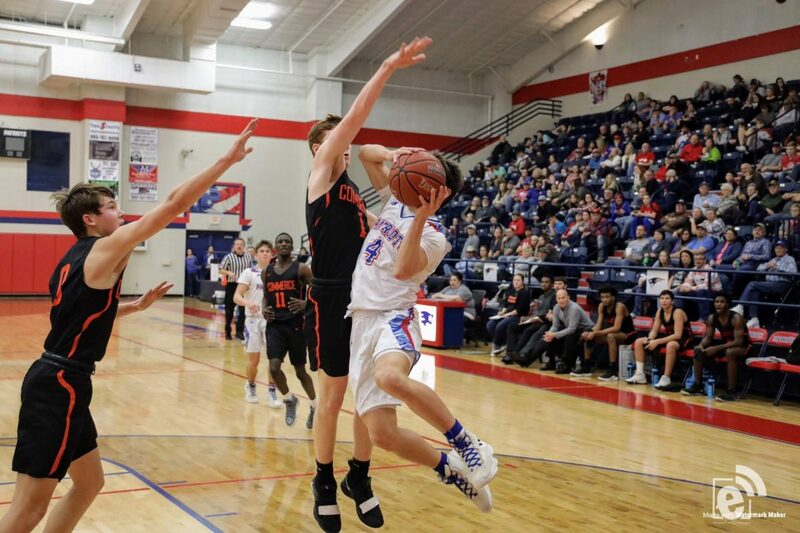 Unfortunately, the Tigers clawed their way to a 20 point lead to give them the win 72 – 52. 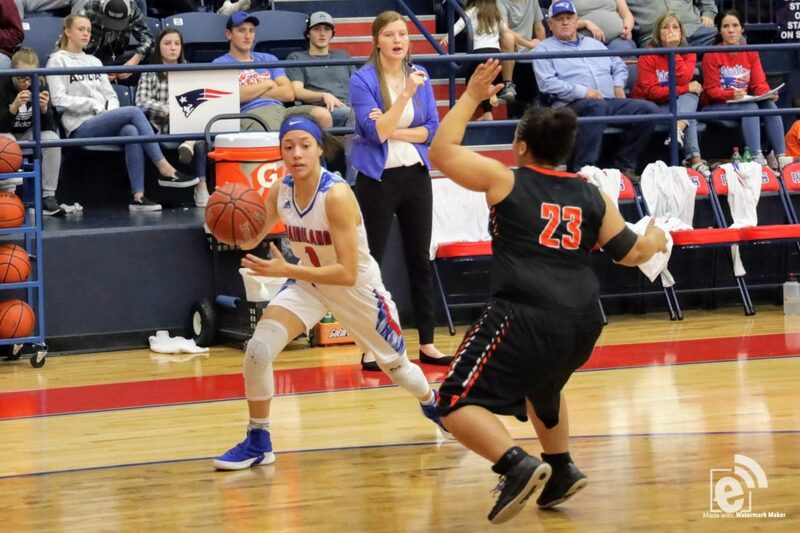 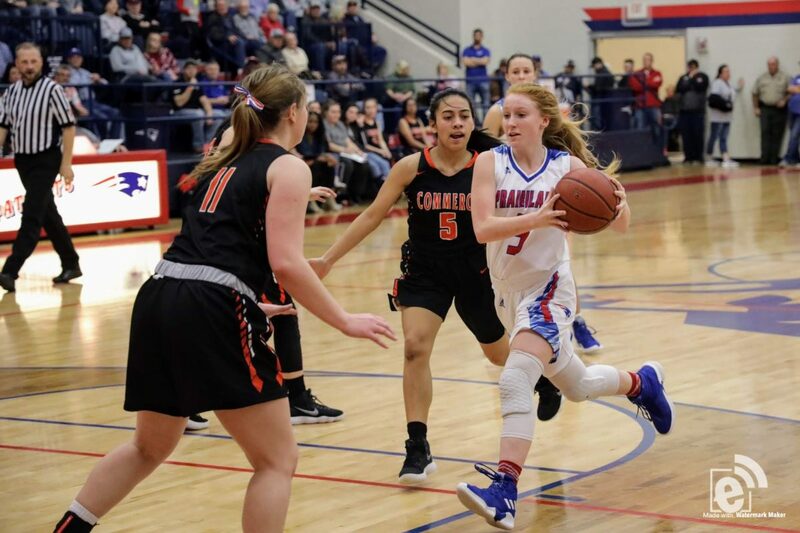 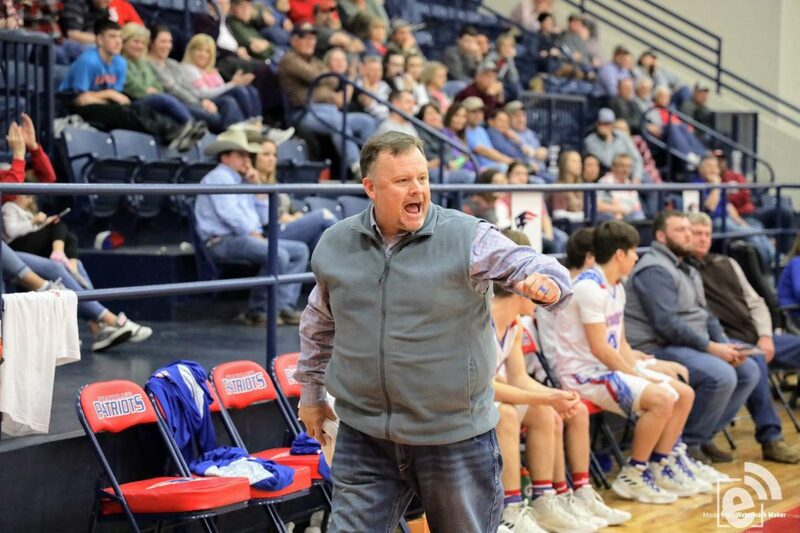 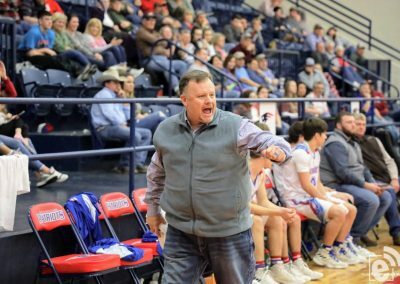 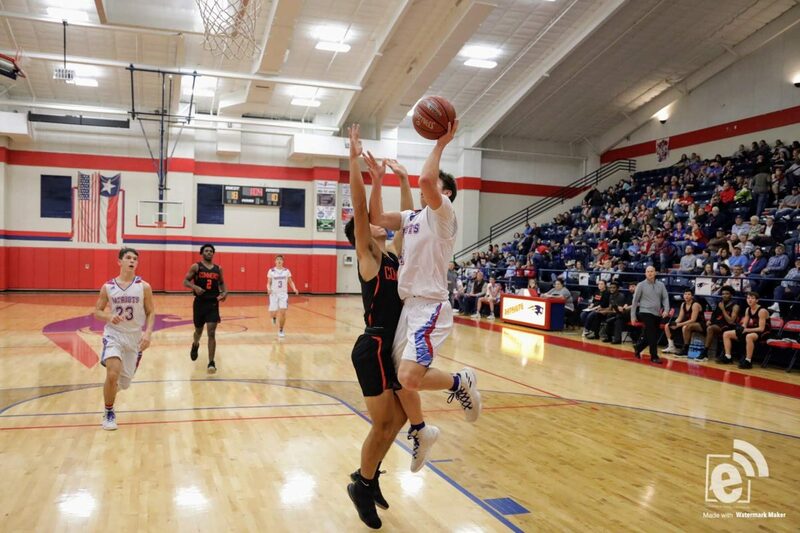 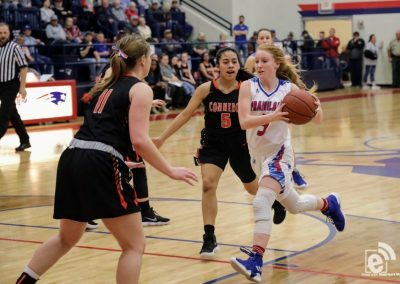 The Patriots are in third place for district 13 and the Lady Patriots sit at fifth, both teams will travel to Chisum on Tuesday, February 5 to face off against the Mustangs beginning at 4:30 p.m. Come out and support!